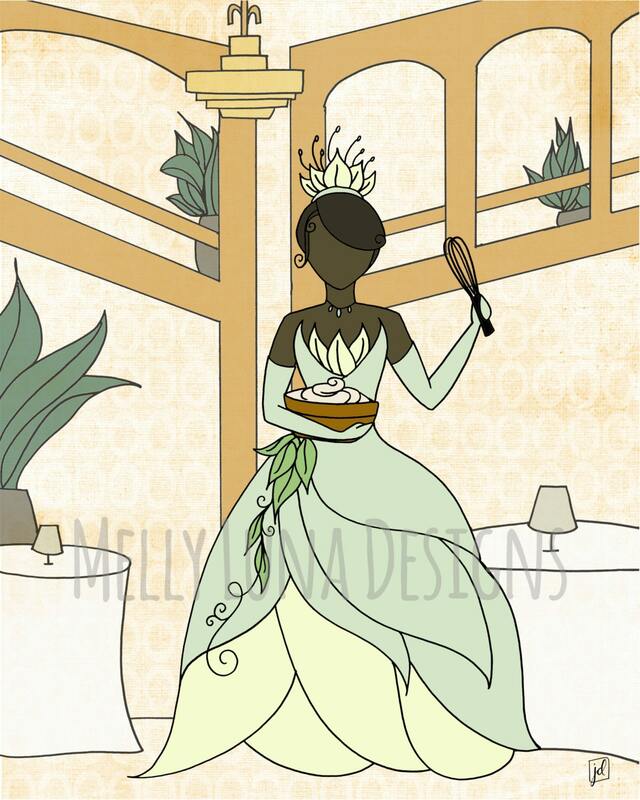 This is a reproduction print inspired by the movie The Princess and The Frog...Tiana's Place! Who doesn't love to cook in a beautiful princess gown?! Perfect for your little one at home. The original art was created with pen and ink techniques and then overlaid on an abstract background.